The Dublin Bay Prawn Festival has it all. Whatever way you like your prawns – barbecued, whole, shelled, fried, skewered, marinated or sauced – Howth's many award-winning restaurants will not disappoint on this not to be missed weekend. 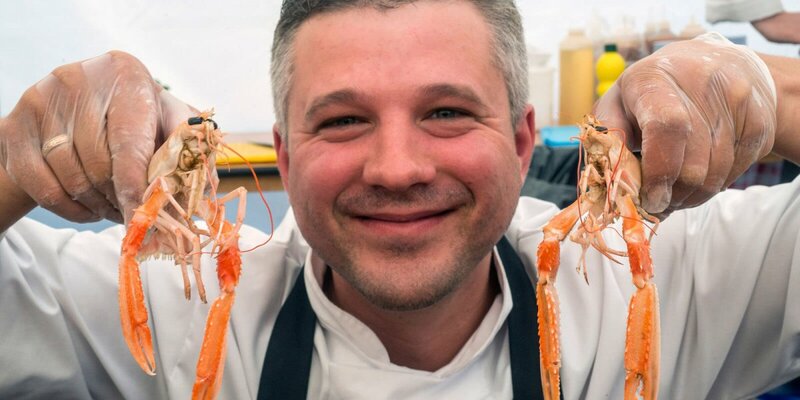 Join the Foodie revolution as they serve your favourite prawn dishes in bite-sized portions at this year's Dublin Bay Prawn Festival. However, it's not just about the perfect Prawn because this really is a celebration of Seafood. You can expect to see plenty of Fish & Chips , Oysters, Fish Cakes, Stir-Fries, Paella and Smoked Salmon to name but a few. After all, variety is the spice of life. Just a short hop on the dart this picturesque peninsula is a breath of fresh air from the bustling city. At any time of year, there's so much to do in the authentic fishing village. From scenic strolls along the harbour, coastal adventures on the cliffs, to soaking up the villages rich maritime history and of course, feasting on the best seafood. Lots of family fun, music, entertainment, activities and more at the Dublin Bay Prawn Festival.